At Tommi Transport out of Los Angeles, California we have top notch service and availability to transport your bucket truck. We can haul it or drive it for a safe on-time delivery to any location. With licensed and insured drivers who have the experience needed to drive any vehicle, you can rest assured that your equipment will arrive safely. 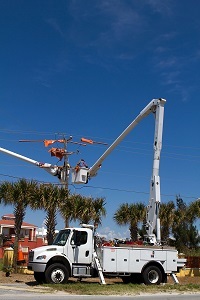 Specialty equipment like bucket trucks are needed for some of the most important tasks. Maybe a storm has caused a power outage in a remote area. We can get the trucks you need where you need them. Is it time to deck main street with wreaths and lights? Are you ready to give your retail space a facelift with new signage? Let us get you the tools to get the job done by providing bucket truck delivery today. If you are in need of any of the following services, you may be in need of a bucket truck being transported. Home and office painting or repair. Telephone, cable, and utility work. We can move a single vehicle or a whole bucket truck fleet, just let us know your needs and watch as we get the job done. Are you in need of an elevated work platform? Let, Tommi Transport give you a boost with one of our bucket truck transporters. We move boom lifts, man lifts, basket cranes, hydra-ladders, and cherry pickers with skill. 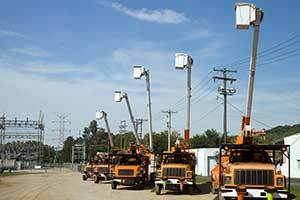 We can assist you with advice and knowledge as your expert bucket truck mover. No job is ever too small. We cover a vast number of cities to accommodate all your destination needs. 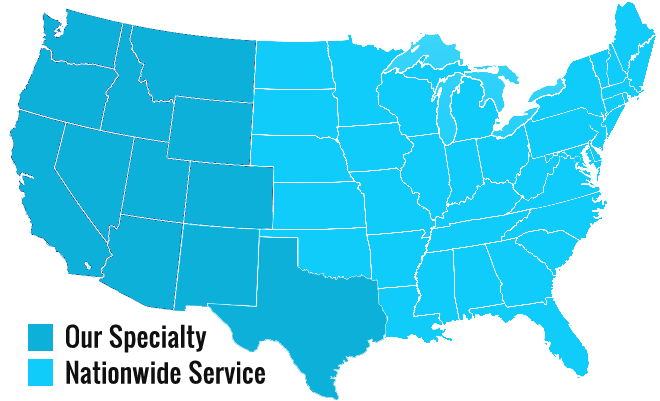 We specialize in the western United States but service the entire continental United States. We are eager and willing to serve you no matter the size and location of the job. Our equipment is high quality and ready to roll. Our professional and experienced drivers are reliable, trustworthy, and able to transport your bucket truck from one location to another without headaches and complications to you. If it’s out of reach, Tommi Transport of Los Angeles is available to transport a bucket truck to help. They are trusted and reliable and ready to serve you. Call for a free estimate today.